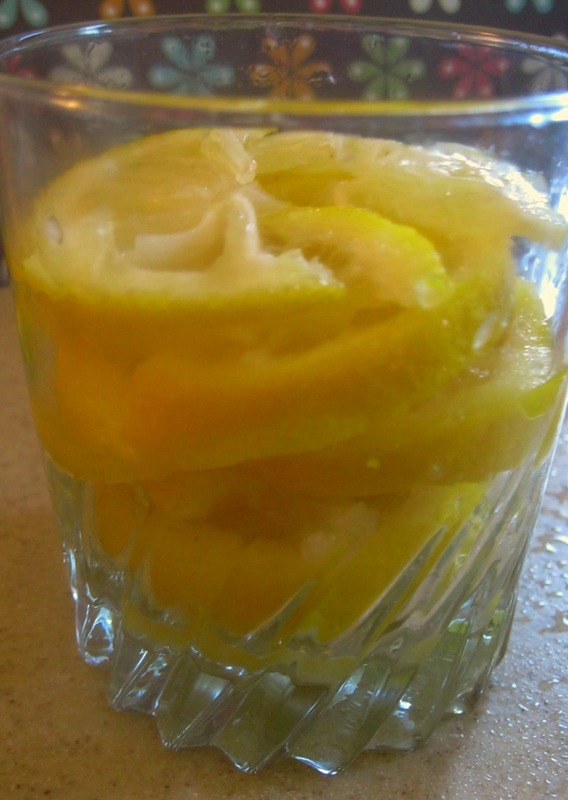 In the time it takes to slice a lemon you can make this tea concentrate for soothing sore throats. This tea base is thrifty to make yet very soothing. Keep a jar in the refrigerator all winter long, or make for a sick friend. The idea for this wonderful stuff is from: catherine boley. She doesn't tell you how much to mix in with the hot water, so you can do it to your own taste. I added about 6-8 tablespoons (I measured them out for ya!) and liked that. You can taste both the lemon and the honey for sure. The lemon gives you a burst of Vitamin C, Honey is not only soothing it does contain some antibacterial properties, and you could easily add Ginger to the tea for some anti nausea as well. 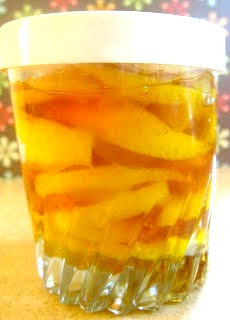 Jan's Tip: The juice from the lemon thins out the honey so it doesn't stay quite as thick as honey. and store in glass jar that has a lid. Cover jar with lid and store in refrigerator. Heat one cup water to desired temperature, Add in one big ol' glop of honey-lemon tea base ( I used 6-8 Tblsp.) Stir till mixed. Sip carefully ( remember you made it hot right? ).